I took this photo (and the video below) as I was swimming. This swimmer was next to me. Didn't stop or slow my pace. After all, I was in a race! Water temp was...shall we say?...COLD. I swam without a wetsuit. But most swimmers were wrapped in neoprene. 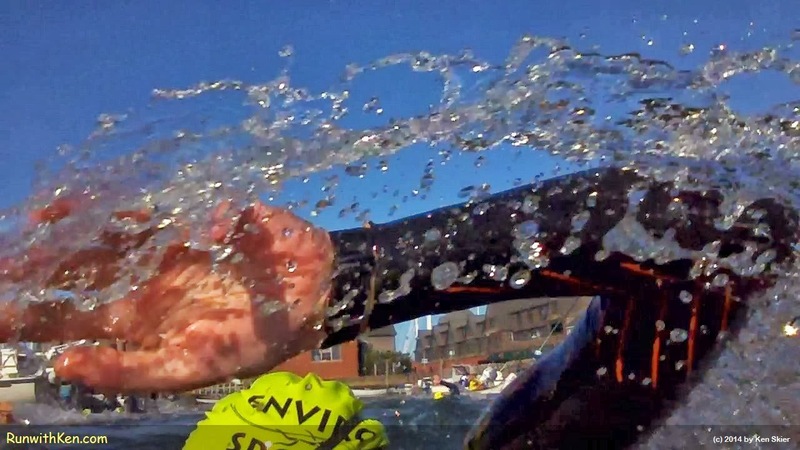 is one of a series of great swim races put on by Enviro-Sports.